An inevitable follow-up to last night’s item about “the Liberator,” the schematics for which have already been downloaded more than 50,000 times in just a day online. 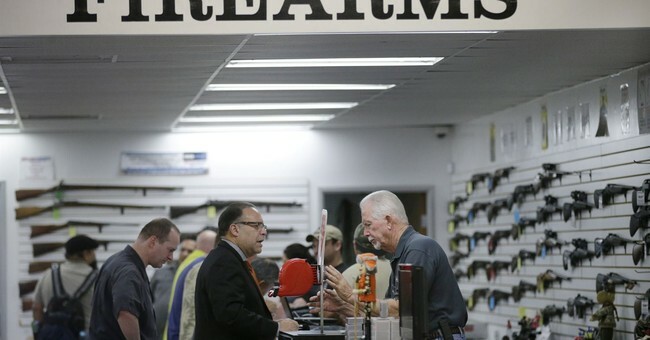 The good news for Schumer and other gun-grabbers? The feds already have a way to go after plastic guns. The bad news? The relevant statute is set to expire soon. I … did not foresee 2014 being dominated by Mike Bloomberg ads about the evils of weapons that look like Fisher-Price toys, but this is the world we have, my friends. With the steel slug embedded in the frame, the gun will ping metal detectors, which means you’re good to go — sort of. That excerpt comes from a piece in The Atlantic chronicling the author’s attempt to download and print a working “Liberator” … in New York City. Among the many logistical barriers are local firearm laws, the scarcity of 3-D printers, the extra expense of making sure the material’s dense enough so that it won’t explode in your hand, and the fact that it’s cheaper and easier to either build a zip gun from materials at the hardware store or simply buy one that’s professionally made from a dealer. The fear here is in the technology’s potential to build reliable, accurate weapons at next to no cost, but that future appears to be a long way off. The political battle isn’t, though. Watching this, I wonder if the GOP will use the Undetectable Firearms Act as some sort of hedge against voting for other gun regulations. I.e. they’ll vote to renew it — I think — but then cite that vote as proof that they’ve done their duty on “common sense” gun regulations and hope that it placates the people who are after Ayotte and Flake to cave on background checks. But who knows? Maybe Paul, Cruz, and Lee will draw the line on renewing the Act on Second Amendment grounds and this’ll play out the same way the Toomey/Manchin vote did, with the NRA rallying behind them and then other Republicans falling in line. I doubt it after all the Ayotte/Flake angst, but stay tuned.